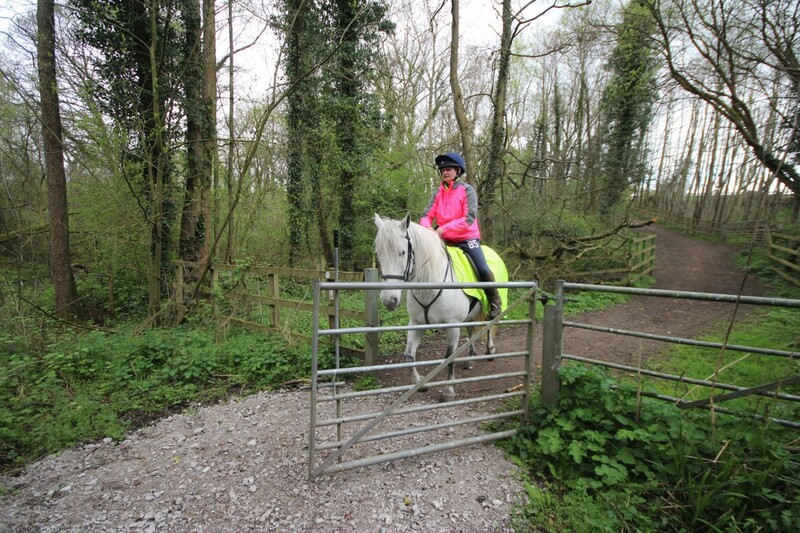 Mid Cheshire Bridleways was formed in 1991 to promote safe riding in safe and pleasant surroundings. 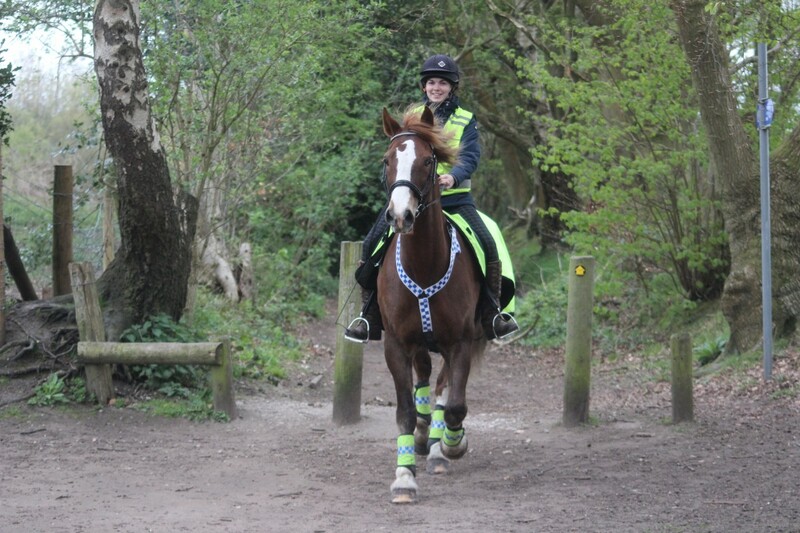 We have an elected committee and are affiliated to the British Horse Society and the Bridleways and Byways Trust. We cover the area from the Wirral to Chester, south to Nantwich and east as far as the M6. We have established links with Cheshire East and Cheshire West Council rights of way sections and are represented at the Cheshire West Local Access Forum. 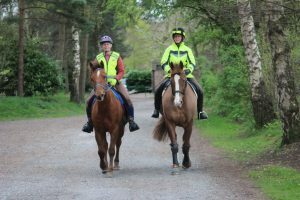 Mid Cheshire Bridleways has always worked with local authorities, landowners and various other partners to help create and maintain safe, interesting rides. 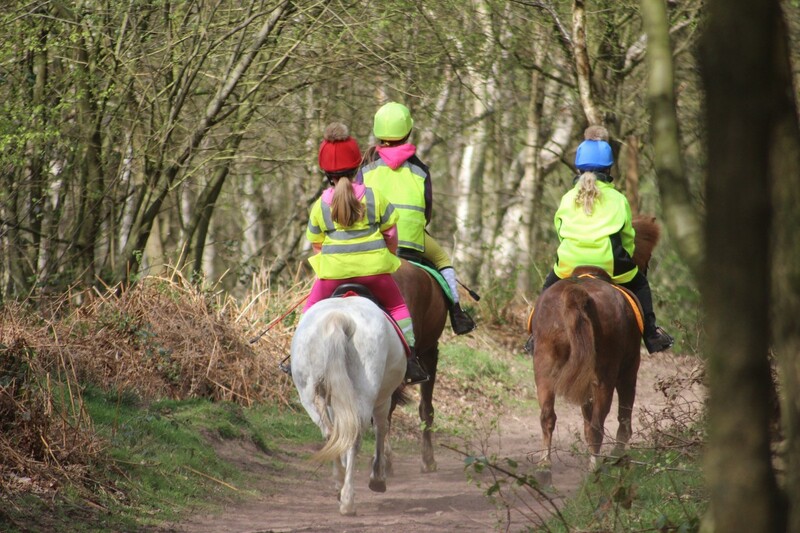 Our major successes have been being instrumental in the creation of Delamere Loop which took almost 20 years to come to fruition and the creation of the Oakmere Way. The opening up of the Aston Ring was another of our early successes. Details and plans of these routes are available from the links above. We also contribute to consultation documents including rights of way improvement plans, Highway improvements and comment on planning applications involving equestrian access. 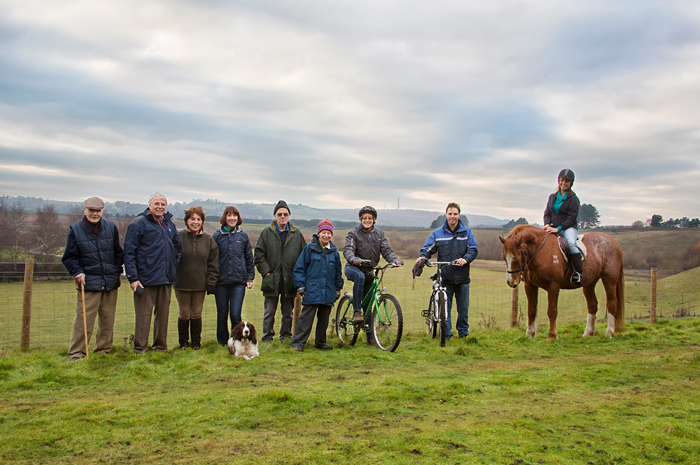 By paying an annual membership fee you are helping us particularly to continue to work towards the creation of new access routes, to be able to fund historical research on lost ways and to speak up for local riders at public inquiries when the need arises. 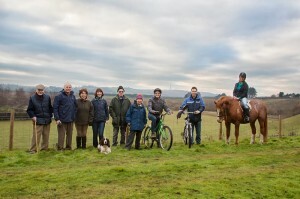 We also organise some rides, talks and social events when time permits and welcome any offers of help. A Facebook group allows members to chat, arrange rides or ask for advice if exploring an unfamiliar location. Get tips and hints from each other on where to park, where to find food etc. Find someone to ride with if exploring somewhere new. Newsletters are sent out periodically to highlight issues, give news and reminders and recent copies are included on this website. Membership for 2019 is £10 for individuals and £15 for family. This attractive route provides an off-road, circular route of approximately seven miles, much of which follows the Weaver Navigation. 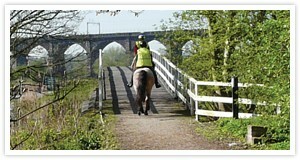 This is a 35km (22 mile) circular route for horse riders following bridleways, minor roads and permissive access routes. 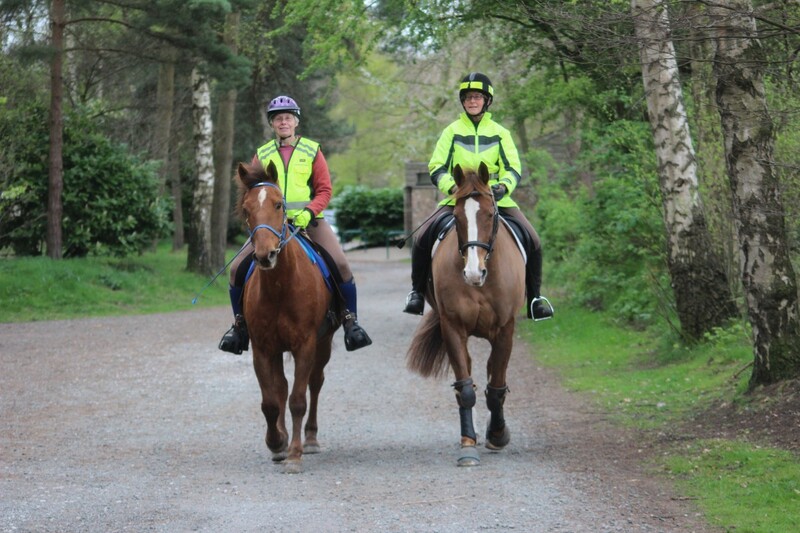 Is a dedicated bridleway linking the Whitegate Way with Delamere Forest. It was completed in Spring 2014 and is just over 3km (2 miles) long. 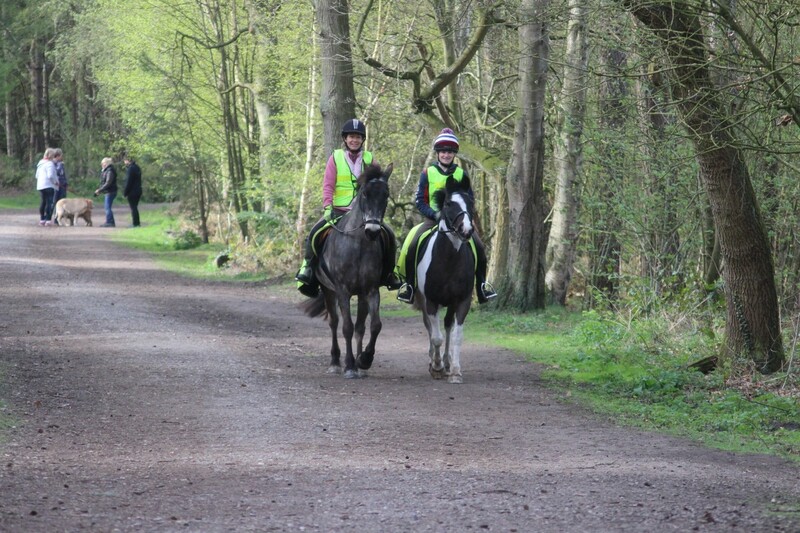 @Mid-Cheshire Bridleways 2014 - Layout Design by 4 Corners Design Ltd - Wordpress Conversion by Debayne Web Design.